How quickly you’re able to respond to inquiries from prospective customers is an important factor in whether or not those leads close. But when you’re juggling a wide variety of tasks and your time is scarce, following up with a web lead is probably low on your list of priorities. So how can you improve you speed to lead without bogging you down or adding additional staff? 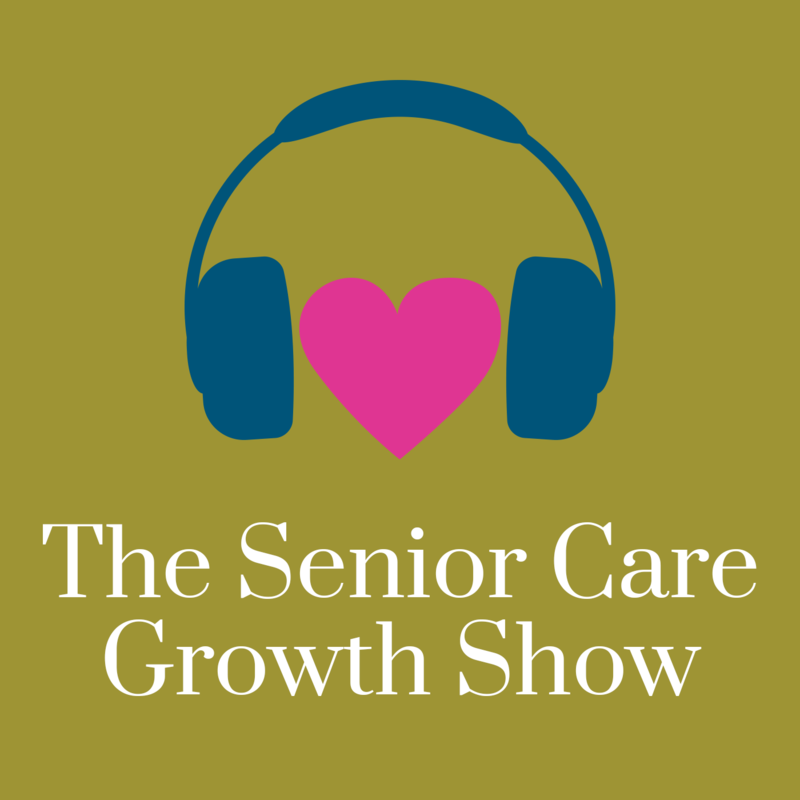 On this episode of the Senior Care Growth Show, Winston Chenery, Manager of Senior Care Growth, shares tips and tools for responding to leads faster. Listen now or read the full transcript below. Winston: Hi, welcome to this episode of the Senior Care Growth Show. My name is Winston. I’m super excited to be with you today. Today is going to be a solo cast. That’s an episode where it’s just me and you. I’m going to share some insights and some advice that I think you’ll find actionable and interesting and hopefully you leave this podcast with some steps you can take to improve your marketing and sales. And in particular in this episode, improve your speed to lead. We know that speed to lead is a critical problem and it should be a top priority in the senior living industry because if you don’t reply to an inquiry quickly, that person’s just going to move on to the next community’s website. So in this episode I’m going to show you just how big the problem is, why it’s so important to solve, and some ways that you can respond to leads faster. I walked through some methods that can be applied if you’re a single site community, larger multisite organization, hopefully you’re going to leave this podcast with some really actionable advice that you can take back and apply to your community. So last year we produced the state of senior care sales and marketing report. You can find that on our website, seniorcaregrowth.com. But in that survey we asked some questions. We asked what the top challenges for organizations were from a sales perspective. Number one is closing more leads faster. Fifty percent of respondents listed that as the top problem. Another top problem was effective sales outreach and competition. I think speed to lead plays into all of those challenges and I think that the response time for community directly impacts those three issues. Closing more leads faster. If you’re able to get back to someone quicker, you have a higher chance of closing that lead and you accelerate the sales time to close. Effective sales outreach. I think if you’re replying faster with better messages, you’re more effective in your outreach. You’re able to connect sooner if you ask the right questions, you can start a conversation. Effective outreach is impacted by speed to lead competition. We know that competition is really high in senior living. There are plenty of other communities in your area who you compete with if you’re not replying quickly to that inquiry, someone else is. So you gotta reply quickly; impacts competition. And to be frank, I think there’s a response problem in the senior living industry. You know, there’s a misconception that just because some actual residents are not tech savvy, online leads shouldn’t be prioritized. But I think the thing to note is that everyone is online now. Everyone’s using websites and web browsers. Everyone’s doing research online and those older folks, children are much more tech savvy and our expectations are much higher and so many leads are now generated via online sources. Either your website or from referral sources like Caring.com or a place for mom, the response back to an inquiry used to be a call and now it’s an email response. Everything is tech. Everything is digital. We need to move faster in an online space. I think this can be challenging for sales folks who are accustomed to in-person or phone calls, but not necessarily email and marketing technologies or automation technologies. And I think that’s especially true for small communities. So smaller communities where a salesperson is used to selling face to face or over the phone, a automated or digital speed to lead quick response can be a difficult proposition. And it’s super important. Web leads have real, real value and they need to be handled in the right way. You already know this, but you probably just need some help in how to respond, or some help in tools or resources to get those responses sent. That’s what we’re going to talk about today. And I want to illustrate just how big this problem is in senior care. Last fall, I was preparing for my talk at SMASH and my talk was specifically on how to close web leads faster. So I decided to run a test. I’m in Richmond, Virginia and there are plenty of senior living communities around town. So what I did was I use online forms and I reached out to 20 different communities in the area. I really just a kind of faked it and I said that I was looking for a community for my parents who were getting older and I was starting to feel out some options. So I submitted those forms to 20 different communities. I really just selected based on which ones I found quickest in search, which I think is what most users do. They’re going to Google, they’re searching for terms like a assisted living facility in Richmond or senior living community, Richmond, Virginia; things along those lines. So I went through the same process and I just reached out to the top websites that appeared in search. And I think that the response was really interesting from those communities. Of the communities I contacted, four of the 20, or 20 percent of those communities never followed up at all. That blew my mind. Other stuff that blew my mind, was that others sent automated email replies within a few minutes. There were obvious form replies. They were obviously just templated replies that were super stale. They looked like they came from a machine. One of them actually gave me a ticket number for my inquiry, like it was an IT request, and just really, really impersonal. Keep in mind that this is a super empathetic decision for these folks. It’s incredibly personal and I think that you need to handle these requests in the right way and an IT ticket number is not the correct way. Of the eight communities that are reached out to or excuse me, of the 20 communities I reached out to eight of those, sent one to two emails on the first day alone and no additional communication, only two followed up beyond the 24 hour period. Think about that for a second. When I asked for information only two of the 20 replied beyond that one day period. Seven of them called and of those that called, three called but never emailed at all. So I only got one form of communication that was a phone call. Eight communities sent one to two emails on the first day and never followed up beyond that, that initial outreach, that to me is just crazy. If you’re not following up within five minutes, you’re not meeting marketing best practices or sales best practices and your audience is moving on. I think it’s naive to think that your audience is gonna wait for you to respond. They’re going to move right onto that next website and they’re going to look into that next community. Because your competitors have figured out how to reply quicker. If that person that was visiting your website doesn’t get a response back, they move on. They land on a larger organizations community site. They don’t know the size of that community, but they do know that they get a reply from that community faster than they did from yours, and if you’re shopping for anything, you’re going to want to engage with the organization that contacts you back the quickest. Let me give you some insights from a recent podcast that we did with Jason Mcleod. So Jason recommends doing a couple of things, triaging your incoming inquiry flow, so looking at where your leads are coming from and prioritizing the top leads. I think that’s a great idea. Throughout the podcast, many of the guests that I’ve spoken to have referenced an external call center and I think that that’s also a great idea is routing your leads to an external call center who can handle those leads quickly who can get back to folks. But if you don’t have the budget for that, there’s some other things you can do depending on how your community is setup. So if you have a sales and marketing director and they also have a marketing coordinator, you can utilize some of their time to follow up on leads. You can task one of those people with lead follow up and sort of centralize those efforts with one person. But not everybody has the time for that. I know that sales and marketing positions in communities are super, super busy and I think that it’s important to to know how you’re structured and what your capacity is and find a system that works for you. So I wanted to talk a little bit about some solutions that I think would be helpful for senior living marketing and sales professionals who are concerned with speed to lead, who are ready to respond quickly to inquiries. I think number one is don’t be scared to send a template, automated email reply to a web inquiry. I know it may sound impersonal. It might not feel like the right thing to do because you don’t want to follow up with a mechanized reply. You want to get back to someone on the phone or just send them an email from your desk. The reality is you probably don’t have time to do that. The other reality is not all automated emails are created equal. I mentioned that reply that I got in my test. So it was an IT ticket reply and it said, “Your inquiry number is five, four, six, five, whatever”. That to me felt really, really cold and impersonal. But I also received some other replies in my test and I wanted to kind of go through what some of those are on this call because I think we can all learn from it. To me, I think there’s a nice middle ground between automated emails that look like a form email and something that’s really personalized that comes from an actual salesperson who’s sitting at their desk and has the time to craft an email. So let me go through some of those results that I got and I’ll give you some examples of some best practices and some some examples of things that I think are great automated replies that can speed up your speed to lead. So one that I got was, and I’ll read a little bit of this, “Thank you for your interest in this community for your parents. I would like to learn more about them so I can provide the appropriate information for you. Is now a good time to reach out to you via phone?” That to me is a pretty good automated reply. Felt personal. It knew that it was an inquiry about my parents, and by the way, you can set that up so that when the form on your site says, who are you looking or who were you researching for? Is it for yourself, for your parents, a loved one? Then your automated reply can be based off of that button click. Again, it’s automated, doesn’t have to feel impersonal. So that was really good. I thought that was a short reply. I also got a massively lengthy reply. So one of my inquiries, I asked about pricing and that was a dropdown in the form, and the reply that I got, I won’t bore you with the full response, but here’s the quick synopsis. There were five paragraphs, there are 20 bullet points around features and benefits of this community, and there are four pricing options. How likely do you think I am to read through that entire email? Probably pretty unlikely. Now you might be thinking, well, you know, we want to share as much information as possible. We want to be transparent. We’re trying to give them the information they ask for. It’s too much, too soon. You’re going to overwhelm them. So bullet number one, one all inclusive monthly fee with no move-in fees. What does that include? What is all inclusive mean? My point here is you’re not going to be able to clearly articulate what the benefits of your community are in an initial contact email. The other thing too is it talks about a small suite that’s available for $5,312.26; a very precise monthly rate. But I don’t know how small that suite is and what that price includes. There’s just too much information here and not enough explanation. I just think that this is getting way too in the weeds. I would not recommend sending that much information in your first automated email reply. Now, there were some that I thought were excellent. So here’s one that I really, really like. I’m going to read this verbatim so that you can hear the reply and hopefully maybe you can use some of this language in your own automated outreach in that first automated touch point. So this was the best one. It starts with, “My name is Emily and in follow up to your online inquiry, I am here to welcome you to our community in Richmond.” (And they had the name of the community) “Serving in the role of senior living counselor, I understand this can be a challenging process and would like to connect with you directly to more personally answer your questions. I attempted to contact you via phone as well and welcome a call back or email at your convenience. (Next Paragraph.) I would also suggest considering a time that would be convenient for you to visit and talk in more detail about what it is that’s important to you. An in person visit is truly the best way to learn more about our community and to see our mission in action. Just let me know what day and time is best for you. (Then she closes the email.) It is a joy and privilege to serve you.” That to me was one of the better automated email replies that I received. First off, it doesn’t feel automated, but I guarantee you it was, and if it wasn’t automated through a marketing automation platform, it was sent and it was a templated email that was drafted well in advance of my inquiry. This was carefully crafted messaging that did a couple of things: Introduced a human who I would have as a contact. It empathized with me and said that this can be a challenging process and that they’d like to connect with me directly. And it offered, at my convenience, for me to come in and take a tour. To me, that’s great. This is a first touch, reply to an inquiry. And something along these lines does a couple things. If you automated, it takes the onus off of your sales team to follow up with that lead. It also starts a conversation quickly and it puts the onus on the lead to reply back and let you know when a good time for the tour is. So you’re putting the ball in their court. So in terms of technology, there are several tools that you can use to get these emails sent. You’ll hear them under the name of marketing automation. If you’re not using a marketing automation platform currently, I would strongly recommend looking at some of the options and spending some time to figure out which one is best for you and then adopting a marketing automation platform. If you’re not using one now, you’re pretty well behind the times and it’s time to catch up. These tools are or can be expensive, but the return in an investment comes from quicker replies. Spending less time for your sales team to manually send those replies and they come with a host of other features as well. We’re a Hubspot partner agency and we love that platform. There are others available that are just, I won’t say just as good, but there are others available that they cover some of the similar functionality. We’d be happy to talk to you about those if you’re interested in discussing further. Beyond just that initial followup in that quick speed to lead. This goes a little bit beyond speed to lead, but I do think that it’s important to mentioning marketing automation can help with sustained followup. So from our survey last year, we heard that the sales cycle range from a few weeks to up to a year to have someone close or move in. Other research shows that inquiry to move in at CCRC is 18 months or longer. That’s a long sales cycle. This is a very considered decision and a lot of times it involves multiple parties. So you might need a deal stage in your sales process for alignment or for getting family members on the same page. Because it’s such a long sales cycle, you have to stay front of mind. But many communities stopped at that one outreach effort and some don’t even do that. So my suggestion is build a email sequence that keeps your community top of mind throughout the life of that sales cycle. You can do that by something called lead nurturing. Lead nurturing, if you’re not familiar, is just a series of email sends that structure descend at various points along that sales cycle. Going back to marketing automation and using the right tools for speed to lead marketing automation can be used to automate those emails sends. So when somebody fills out that initial inquiry, marketing automation can send them an immediate reply or can also wait a couple of days in the followup or could wait a month to send another follow up and do that for as long as you’d like. At any point in that sequence, your lead will hopefully engage with those emails and those outreach efforts. When they do marketing automation can also use lead scoring, which will indicate activity from a lead until you that maybe they’re ready for a sales conversation. Maybe you should call them. There are a lot of really cool features to marketing automation platforms that I think will help senior living organizations save time and ultimately save money. So couple of other solutions for speed to lead. If you have the resources, route all of your leads to a single respondent. This does a couple things. It gives you control and how quickly you can get back because you’re not relying on multiple people in different locations to respond, and it also allows you to respond in the right way. If you have one person who’s maning all of those inbound leads, and incoming inquiries, you’re able to control the messaging for that one person and monitor effectiveness much, much easier than if you’re spreading that function across your organization. Lastly, for speed to lead, another solution I think is using external call center. There are plenty of good options out there for external call centers. I would not be scared to hand over the reigns for that initial response to an external call center or someone who can speak on behalf of your community. I think the risk of losing a lead early, is much higher than the risk of an external agency or company getting your messaging wrong. I think if you give them the right messaging and the right answers to questions, an external agency can handle that initial inquiry response and they can set up a tour or set up a time to speak to someone within your organization on the sales side. So I definitely recommend considering that if you do have the time and ability. So that pretty much does it. Those are my tips for speed to lead and following up quickly. In this episode, we talked a little bit about the challenges around speed to lead and how communities are struggling to follow up. I shared with you some of my firsthand experience with that struggle and not getting replies from different communities. We also talked about some good examples. I would reiterate that an automated email is not a bad thing if you do it the right way. I would use that example that I listed of Emily, who was the person who was assigned to me as the senior living coordinator at that one community. The automated email reply that I got back was not offensive. It didn’t come across to me as automated. And it achieved the goal of replying to leads quickly, which is critical in this industry. So that’s it for today. For more resources, other podcast episodes, or to download our state of senior care sales and marketing report, visit our website at www.seniorcaregrowth.com. My name is Winston. It’s been great talking to you and we’ll see you soon.